We have 4 different kiln sizes to fit any size load or budget. Prices are for a standard firing cycle. Loading fee is $25-$60 depending on the size of the kiln and how many pieces are being loaded. Join our collective firing for 10 cents/cubic inch (which covers bisque and glaze firings) if you only have a few pieces to fire. The prices indicated are for standard slow firing cycles. Any firings with special requirements such as ramp/ hold are subject to additional fees. Glaze firing greenware is prohibited. Pieces must have been bisque fired prior to glaze firing. BCi is not to be held responsible for a piece cracking, breaking, blistering, exploding or any other type of unsatisfactory result. 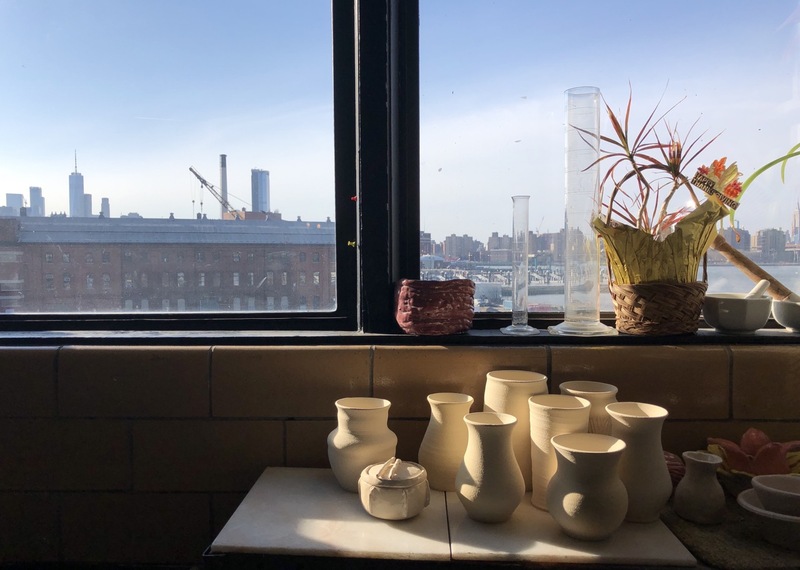 Please come back to the studio 1 week after dropping your piece to be fired, this is generally enough time to insure your piece has been fired and unloaded from the kiln. Rushed bisque or glaze firing ( 2-3 days turn around) is 0.15 cents / cubic inch. Ceramic and Sculpture Supplies.. Tools, brushes, limited supplies in Stock. Special Orders. etc. (available items will be listed on BCI eCommerce Shop section). For customers with prior pottery experience ($15 per hour). Open for students who register for our 10-week classes. Measured at 10 cent/cubic inch per firing with a $10 minimum.